Whether he’s protecting and pursuing the rights of his business and real estate clients in commercial disputes or defending corporate clients in catastrophic personal injury cases, Bill Buhay uses his accounting background to strive for the most cost-efficient resolution to the matter at hand. In his 20 plus year legal career, Bill has litigated almost every major area of law in courts across the country. Currently, he is the National Counsel for Deficiency Claims for the nation’s largest special servicer of commercial mortgage-backed securitized loans. In that role, Bill oversees the analysis and pursuit of breach of contract actions across the country. 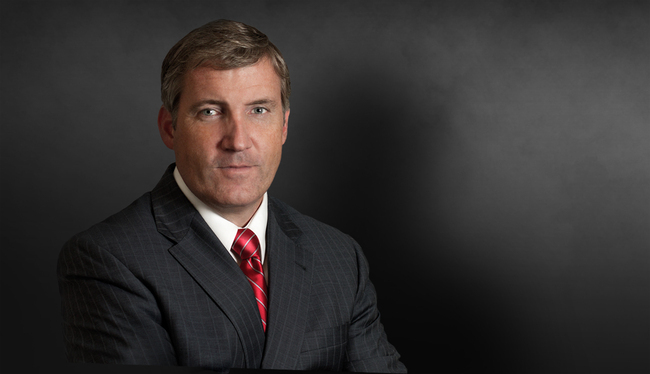 Nevertheless, he remains active in the defense world, where his practice ranges from defending products, environmental, and intellectual property liability suits to antitrust matters. National real estate and commercial litigation counsel for the country's largest commercial mortgage backed securities special service. Defended chemical manufacturer against charges its product caused an explosion injuring and killing 30 people. Successfully settled 12 personal injury and wrongful death cases arising out of a multi-vehicle trucking accident. Defended national tire and auto repair retailer from multiple negligent maintenance wrongful death claims. Drafted and negotiated construction contracts for multi-use development (condos, townhomes, hotel, restaurant) in the Buckhead business district in Atlanta, Georgia. Successfully defended major chemical manufacturers in CERCLA and HSRA environmental claims. Successfully resolved copyright and trademark infringement claims for international motorcycle and personal watercraft manufacturer, a local automobile retailer, the world's leading geo-synthetics manufacturer, and a seller of replica firearms. "A Lawyer's Look at the Alabama Department of Transportation's Standard Specifications for Highway Construction," presentation, June 2010. "Building The Case: Real Life CSI; Litigating the Wrongful Death Claim in Georgia," presentation, April 2005. "Designing Effective Credit Application, Purchase Orders, and Invoices: The Three Things You Should Always Do," presentation, Cobb County Chamber of Commerce, July 2000.